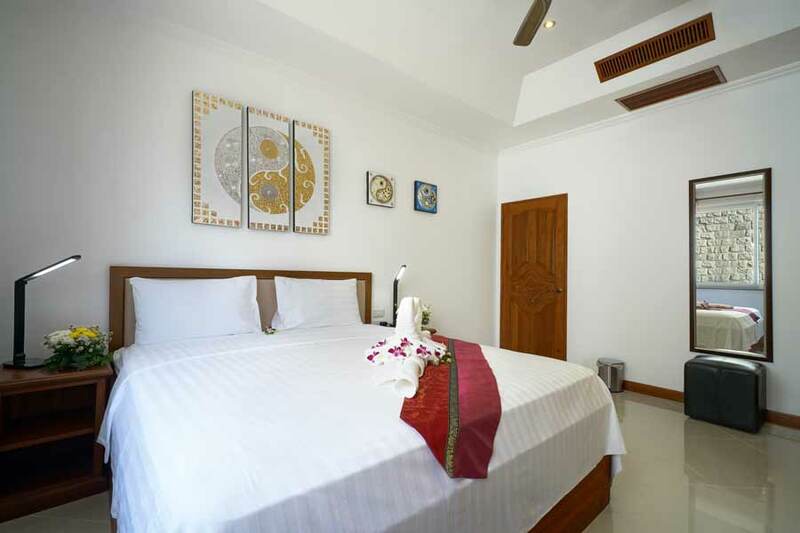 With 2 bedrooms, the spacious, well-lit villa is surrounded by landscaped gardens, and unite Western quality standards with Thai furnishings and handcrafts. 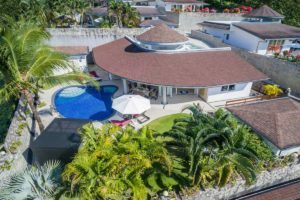 Within a generous living space of 300 m2, you will find elegant bedrooms and living rooms and a fully equipped kitchen that provides additional comfort. Explore the villa and surrounding location with our 360° interactive virtual tour. Video exploring the private pool villas, 5* service and the nearby beaches. Villa Jasmine is ideal for a romantic couple’s holiday together. In addition to a fantastic view, the slight slope of the villas ensures our guests absolute peace and complete privacy for a relaxing holiday. Enjoy carefree days by the private pool, indulge in a soothing massage treatment in your room or poolside, or discover the nearby beaches and points of interest from your villa. 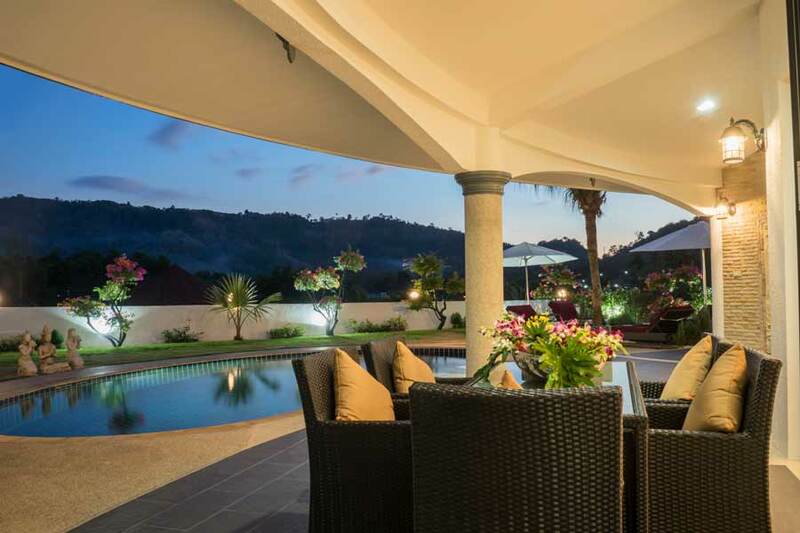 Villa Jasmine, the spacious, well-lit villa with 2 bedrooms, is surrounded by landscaped gardens, and unite Western quality standards with Thai furnishings and handcrafts. Within a generous living space of 300 square metres, you will find elegant bedrooms and living rooms decorated with high-quality natural materials, and a fully equipped kitchen that provides additional comfort. 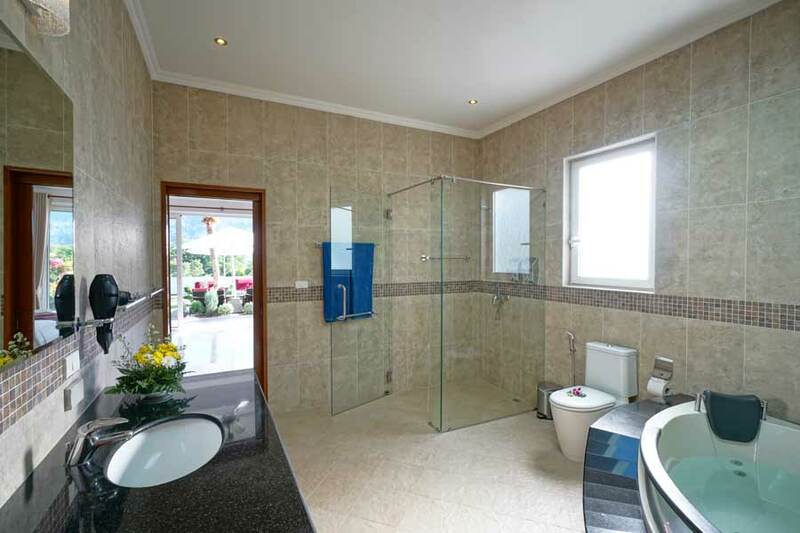 Naturally, each bedroom has air conditioning and a private bathroom with a shower and toilet. 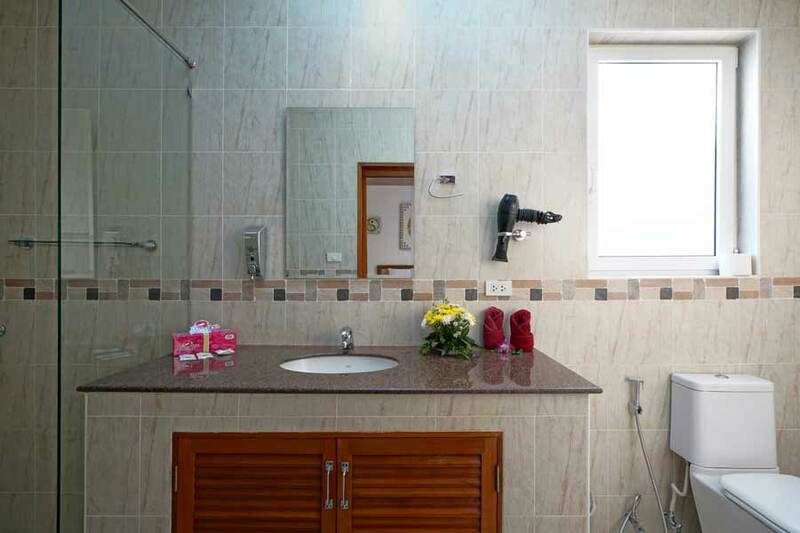 Villa Jasmine is also equipped with free Wi-Fi, a flat-screen TV, a DVD player, and an iPod docking station. Deck chairs and an outdoor dining area await you at your private pool with a covered terrace. When you arrive at the airport, our driver will be there to personally meet you. Our butler will be awaiting your arrival at the Villa Jasmine with a welcome package and will give you a tour of the 2 bedroom villa Jasmine. As of now, you won't have to worry about anything else: from Monday through Sunday, your personal housekeeper will handle all related chores, cook for you, and tend to the needs of different generations. Furthermore, as part of our 24-hour service, we can be contacted and are at your service day and night. We are happy to arrange excursions, diving trips, yacht charters, or island tours for you; to book a massage or spa treatment for you; and to always assist you with questions and problems. Our housekeepers are trained cooks and will be glad to give you insight into the culinary diversity of Thai cuisine. 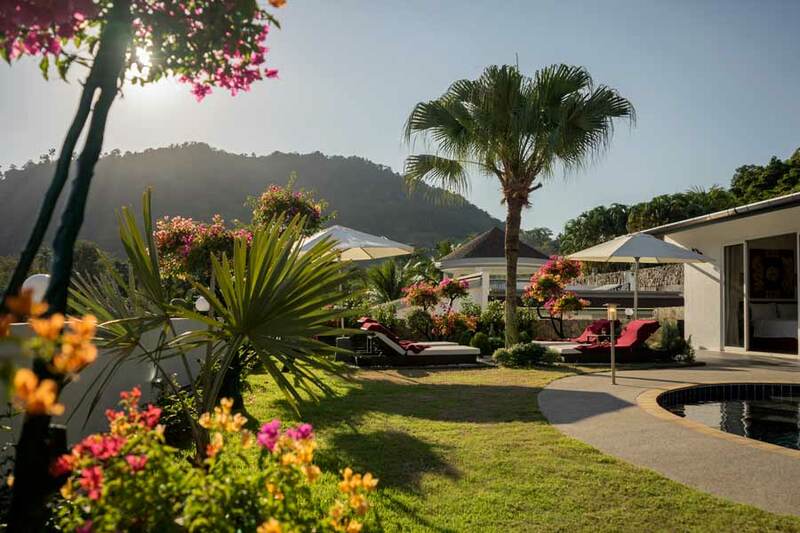 Enjoy homemade specialties on the terrace with stunning panoramic views of Phuket's rolling green hills. 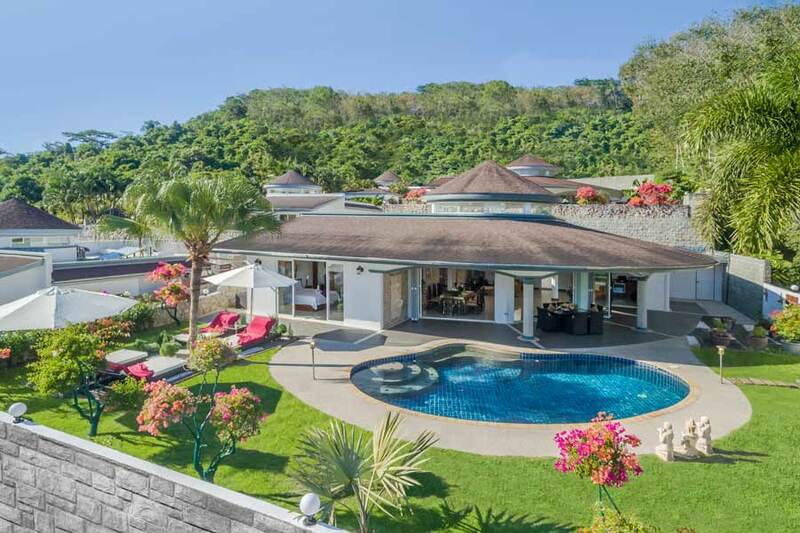 BTW: Luxury Villas Phuket offers also two 3 bedroom pool villas (Villa Orchid & Villa Lotus) as well as the 4 bedroom pool villa "Eden". Combination of catered and self-catering (Your housekeeper takes care of cleaning, washing and cooking.). 1 Extra Large Double Bed (1.9 x 2m). 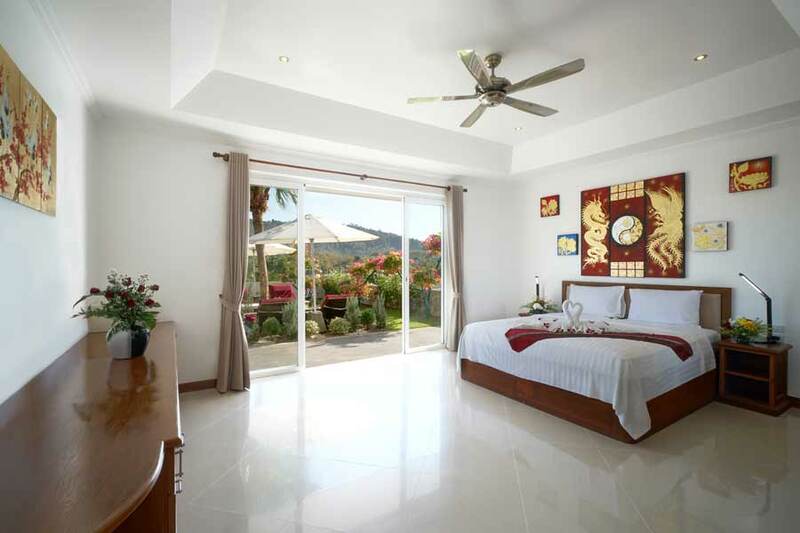 All bedrooms are fitted with air-conditioning, ceiling fan and mosquito nets. best stay ever in Thailand! We had a wonderful time in “our” villa and look forward to our next visit there! Perfect! Special thanks to Mr. M and Mr. Nu and of course our maid! Besides all the people behind the scenes … just great! We will gladly come again! We were very pleased with our stay. The villa was great. It was clean. The services available are a big plus. I really recommend it!! Thanks! Your housekeeper will be happy to serve you Thai specialities on the patio, she will take care to ensure that you have a pleasant stay with us. 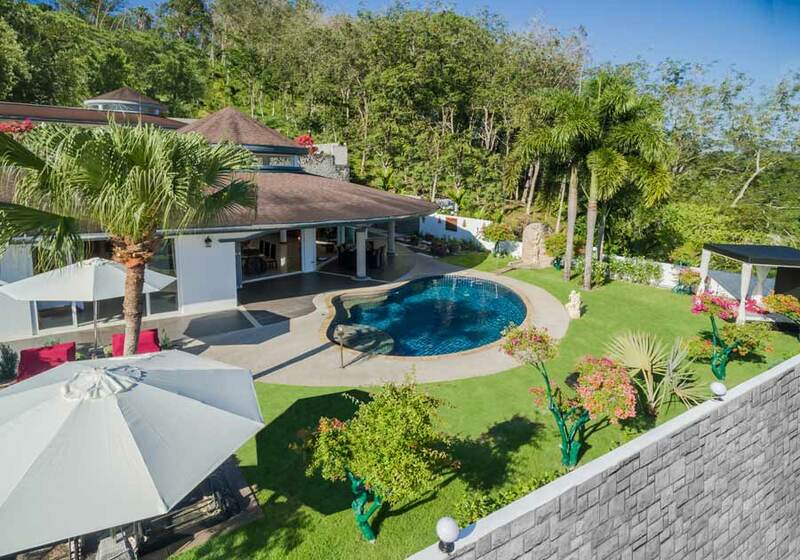 Car and scooter rental is also available when booking one of our luxury Phuket pool villas. The convenience of instant online booking together with the piece-of-mind of secured payments with all major credit cards or PayPal. 2, 3 and 4 bedrooms spacious, well-lit private pool villas are surrounded by landscaped gardens, and unite Western quality standards with Thai furnishings and handcrafts.